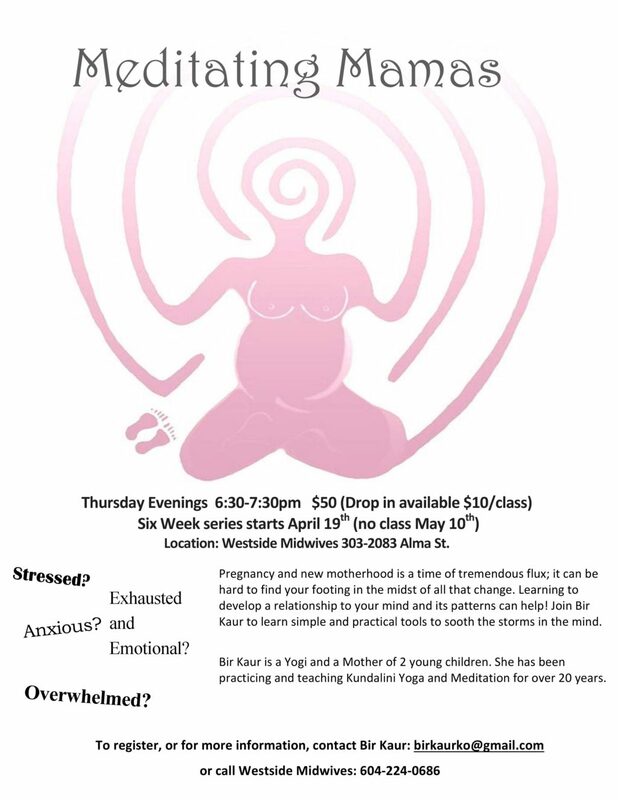 Join Bir Kaur Thursdays from 6:30-7:30pm to learn tools and techniques for learning to ride the waves of the mind; Meet other new and seasoned moms. Drop in $15. Call the clinic or email Bir Kaur directly: birkaurko@gmail.com for information. Join Safe Beginnings for upcoming Infant/CPR class taking place from 6:30-8:30pm on Wednesday March 7th at Westside Midwives. $45/person. This 2 hour course focuses on CPR and choking for infants and children, as well as accident prevention for once babies become mobile. 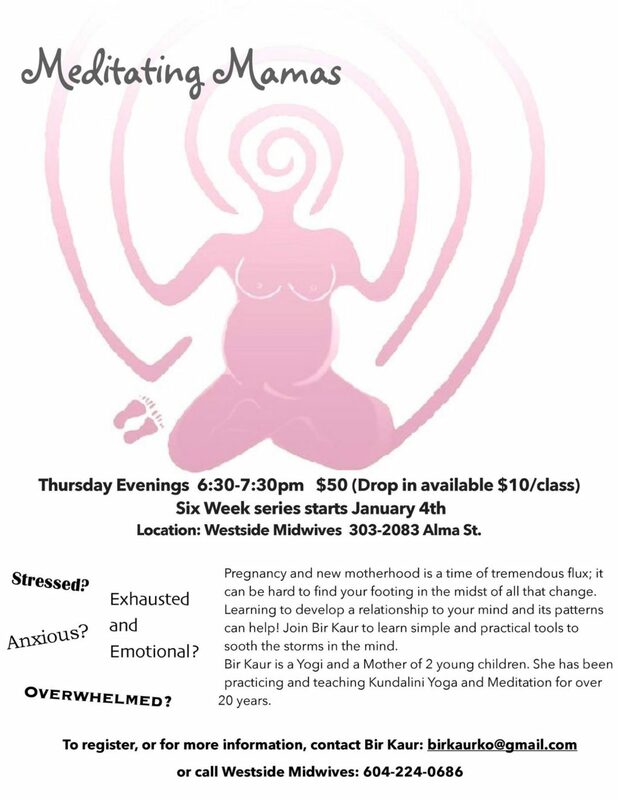 Meditating Mamas series started again in January on Thursday evenings, 6:30-7:30pm. 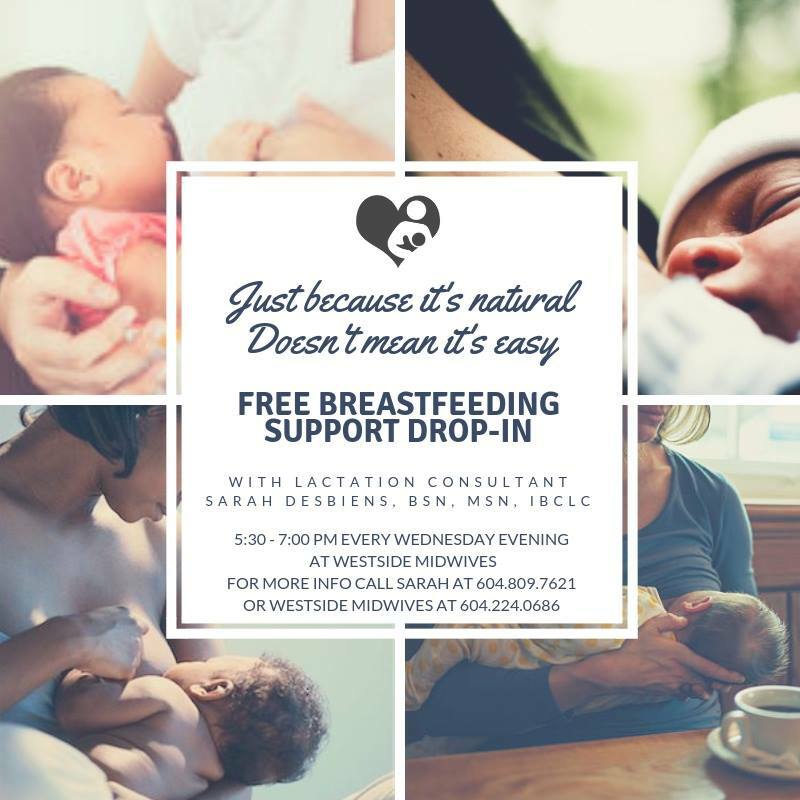 Drop-in may be available; contact Bir Kaur at birkauro@gmail.com or call Westside Midwives 604-224-0686 to inquire. 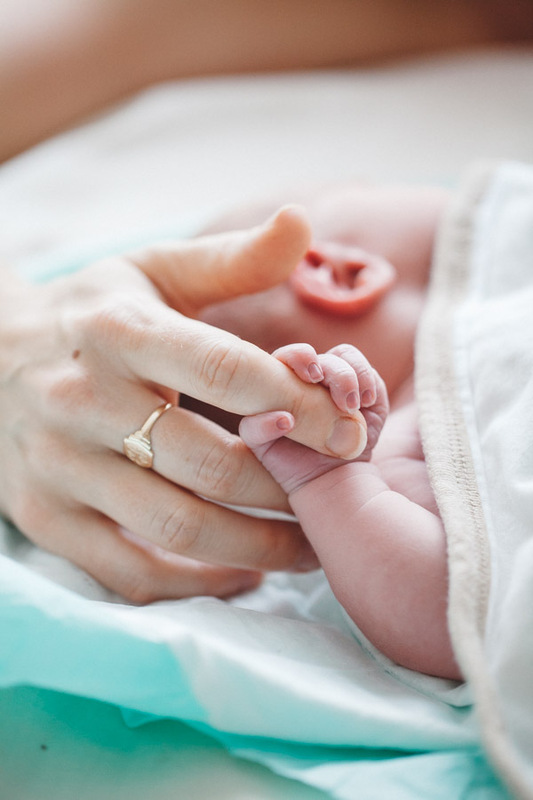 Westside Midwives is pleased to welcome two UBC Midwifery students to our practice from September 2017 – April 2018. Both Elie and Gillian are senior students, which means that they will be completing their fourth and final year of clinical placements with us.